Планы на выпуск дудлов составляются более, чем за полгода. One day Olivia Huynh is obsessing over Tashiro Furukawa, who opened the first school for the blind and deaf in Japan, and struggling to perfect the moves of his original sign language. The next, she's crafting the perfect expressions for a tough little ice-cream cone, animating it into battle with three cayenne peppers. Such is the life of a Google Doodler. 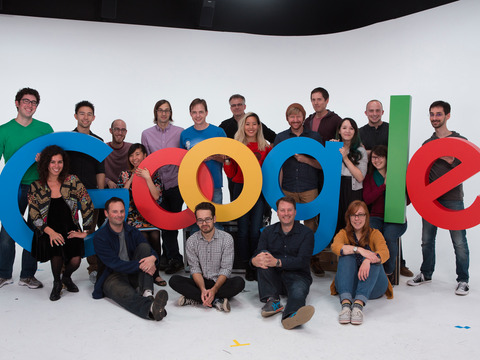 Huynh is part of a team of about a dozen artists, a handful of engineers, and a couple of program managers who spend their time dreaming up new ways to use the search engine's homepage to educate and entertain the scores of people who visit it each day. "I am never bored," she tells Business Insider, laughing. "I don't think there are a lot of jobs where you can be a game developer, an illustrator, and an animator at the same time." When Huynh and two of her teammates — engineers Kristopher Hom and Tom Tabanao — chatted with Business Insider, they were just putting the finishing touches on an immersive experience celebrating Wilbur Scoville, who invented the scale that measures pepper spiciness (hence the feisty little cayennes). Brainstorming for 2016 designs had started last summer, but Huynh didn't begin her drafts and prototypes for the Scoville design until October. After the winter holidays, she paired up with Hom and Tabanao to spend the month of January bringing the game to life. Generally, Doodlers find themselves juggling several projects at once, and because each project centers on the anniversary of a person, event, invention, or idea, they have hard deadline determined during one of the team's big planning sessions. Not that every design has the benefit of a long runway: Google will occasionally do news-based Doodles, such as when scientists found evidence of water on Mars. That animation went from concept to reality in a day. On the other end of the spectrum, a recent Doodle commemorating Beethoven first started getting kicked around back in 2013. Tabanao says he "guest-starred" on his first Doodle — an interactive crossword puzzle — at about that same time. He was a search engineer, but he loved the project. In a few years he finally got to join the Doodlers full time. "This is a coveted position here," Tabanao says. "When I was offered the position I took it in a heartbeat." For engineers, the job isn't just working with artists like Huynh to make sure animated designs work on the homepage. They're also responsible for making sure the infrastructure holds up even when massive amounts of people are exploring an experience or playing a game at once (sometimes with live-updating, global scoreboards), as well as ensuring that Doodles work on all different types of devices, from laptops to smartphones. Ryan Germick, who has led the Doodle team for five years, says one of the most important aspects of choosing designs is coming up with illustrations that people can connect to in an emotional way. "We're investing in a team of talented people who can express the values of the company and have a little fun in places that are usually rectangles and boxes and things that are boring," he says. "Even if it's a one-second smile, spread that across a billion users and that's a billion seconds of smiling. In a small way, we as a team can consider more deeply the humanity of our users and acknowledge it, even if it doesn't perfectly scale and takes more effort than a stock photo or logo."